In Part I of this series we looked at how AS was transformed from a radical socialist economist to a free market economic thinker. It was noted that both the London School of Economics and Harvard University played a key role in fashioning his views on economics. He got superb exposure to the changing global environment whilst at these two prestigious institutions of higher learning. In addition, he was associated with some of the leading thinkers in the field at both LSE and Harvard. They were also radical in the sense that they too questioned the existing paradigm in economics. Yet, they were using that radical spirit to seek wisdom and knowledge. Accordingly, applying his own critical thinking, AS was able to make a fine reading of emerging global developments. That reading, continuously revised and upgraded with new facts and figures, helped him to look at issues from a different perspective. AS’s work area was not confined only to the Central Bank. He got the opportunity of working in numerous other places outside the bank. One such institution where he got the opportunity to work and enhance the range of his experiences was the Bank of Ceylon, the leading state sector commercial bank in the country. AS’s encounter with BOC happened in two different stages in two different capacities. The first was when he was appointed BOC’s General Manager in 1976. The other was when he was invited to head the Bank as its Chairman in 1989. Both were brief encounters, close to or less than one year in duration. 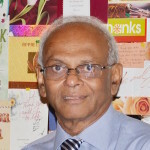 When AS assumed duties as GM of BOC, the Minister of Finance was Felix R. Dias Bandaranaike, commonly known as FRD. He was powerful as well as controversial. 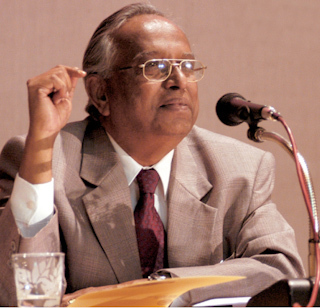 He was the chief strategist of the SLFP-led Government of the day headed by Prime Minister Sirimavo Bandaranaike. Hence, his powers were wielded over almost all the Cabinet Ministers. They were kept in check occasionally only by the intervention of the Prime Minister herself. The Government was at that time making plans for the forthcoming Parliamentary Elections. FRD, the brain behind the election plans, was expected to use his powers as the Minister of Finance to secure a victory for the Government. He therefore made several controversial moves on the economic front. One was the revaluation of the rupee-dollar exchange rate in an apparent attempt at easing the rising cost of living. Another concerned the preparation of plans for flooding the market with imported goods to show that there were no shortages, a malignant disease that had spread like a pandemic during that period. A third was connected to the first and the second. That was to seek liberal financial packages from foreign banks to implement his free import policies. At that time, Sri Lanka’s external credentials were at such a low ebb that any letter of credit for importing goods had to be guaranteed by a third party of worth. FRD wanted foreign banks to extend this credit guarantee to Sri Lanka. When that guarantee was not forthcoming, in the fourth place, he threatened them with nationalisation. That was an ill-thought measure which had been used by India’s Prime Minister Indira Gandhi a few years ago. Thus, India provided, of course in the wrong way, the moral support and a precedent for FRD to act. He therefore went ahead with his plan and presented a hurried bill to Parliament to nationalise all the foreign banks. FRD’s attempt was aborted only by an unscheduled dissolution of Parliament by the Government in early 1977. Hence, joining an administration headed by FRD at that time was as controversial as FRD himself. It also carried a considerable political risk since the whole election campaign of the opposition United National Party had been directed against FRD and Sirimavo Bandaranaike. AS was an outsider and his appointment as GM of BOC was in contravention of the Bank’s policy of picking up GMs out of existing senior officers. Hence, there was much objection to his appointment from within BOC. However, FRD was not the one to observe conventions if they stood in his way to an election victory. He had already proved his disregard of conventions by appointing the President of the main trade union of the banking sector, the Ceylon Bank Employees Union or CBEU, as Chairman of BOC. That was to weaken the militancy of CBEU which had already conducted several successful trade union actions against the Government. Hence, when AS was appointed as GM, the talk in the market was that he was being brought from outside to help FRD to implement his election plans. But the two people who had been selected by FRD were wrong choices to attain his political objective. The Chairman, T Rusiripala, a diehard trade unionist, did not run BOC in the way FRD expected him to do. He later confided in me that he was conscious of the changing political winds in the country and did not want to be a controversial figure. After all, after leaving the Chairman’s post, he had a career at the People’s Bank and a role as a trade union leader. He did not want to tarnish his image for petty political reasons. The situation faced by AS was similar but graver. AS too had to return to the Central Bank after his brief encounter with BOC and continue as an economist there. In addition, he was viewed by BOC’s senior management as a destroyer of their career advancement plans. Hence, there was a cold hostility extended toward him. He too was mindful of the changing political situation in the country and did not want to be identified as a political game player at BOC. He, therefore, had to act cautiously maintaining an extraordinary balance in his every move like an acrobat walking on a tightrope. He could not displease the Government in power. At the same time, he could not risk tarnishing his future career as a professional. The discipline he had got from both LSE and Harvard told him that he should act neutral. That was exactly what he did during his short tenure as GM of BOC. There was another reason for him to act neutral. He was a central banker but was not conversant with commercial banking practices. Those practices he had to learn anew. Hence, he had to make peace with the senior management members at BOC. He was a quick learner and also a critical learner. Hence, while learning commercial banking practices, he attempted to dig into their rationale or commercial logic. One of those senior members of BOC at that time told me later: “AS had regular meetings with us to examine the performance of BOC. But we knew that the main purpose of those meetings was for him to learn of what we are doing and why we are doing it. It was easy for us to explain to him the ‘what we were doing part’. But even we hadn’t thought of the ‘why we were doing part’. AS always had a very good impression about the senior hands at BOC at that time. He talked about them fondly in personal conversations with us for years. He returned to the Central Bank in January 1978 as its Economic Research Director. We had weekly meetings at the department. At those meetings, he used to narrate to us his encounters at BOC. He confessed that he learned the ABCs of practical commercial banking from those officers at BOC. He did not stop there. He forced two of us, Ranee Jayamaha and me, to visit BOC whenever we had a problem of understanding practical banking and learning of what it is from officers at BOC. That was because both of us were attached to Money and Banking Division of the Department at that time and knew only of money and not banking. I recall visiting the BOC head office located at York Street at that time and bothering BOC officers for petty details of their practices: how a goods receipt worked, what was meant by a usance promissory note, what were the details of a large item in their balance sheet called other assets and other liabilities, etc. The objective was to expand our knowledge base on practical commercial banking. This practice was continued when AS became the Deputy Governor of the Bank in 1988 and later its Governor in 1996. He required all new recruits to the Central Bank to spend some time at BOC and learn of practical banking there. But what did he do at BOC? He is normally shy and reluctant to sing his own hosanna. He would just say that he visited BOC branches outside Colombo and observed that the Bank had not used its full potential to reach the masses in the country. For the ordinary people, BOC was still a bank of the elite, working in a language alien to them and had practices that were not customer-friendly. The People’s Bank, which had been set up some 15 years ago, was very active in rural areas and was always looked up to by ordinary people as their own bank. But BOC was still making more profits by being the banker to the Government and to the corporate sector. Yet, what he noted was that the People’s Bank was the real ‘pulse of the people’ whereas BOC was ‘banker to the nation’. He told me that this dichotomy had to be broken and BOC should be taken to the doorstep of the people. But he did not give me details as to how he approached the issue at hand. I therefore spoke to the Chairman of BOC, T. Rusiripala, while he was GM there for details. Rusiripala was candid and full of praise for AS. What did AS do? I asked him. “There were two main contributions which he made,” Rusiripala revealed. “He wanted to bring BOC to the masses. When he visited branches, he had realised that BOC was not active in lending to farmers. It was just going by conventional lending systems. That was to use the refinance funds from the Central Bank and on-lend to farmers. Are The Tamils And The Sinhalese, Same Or Different?